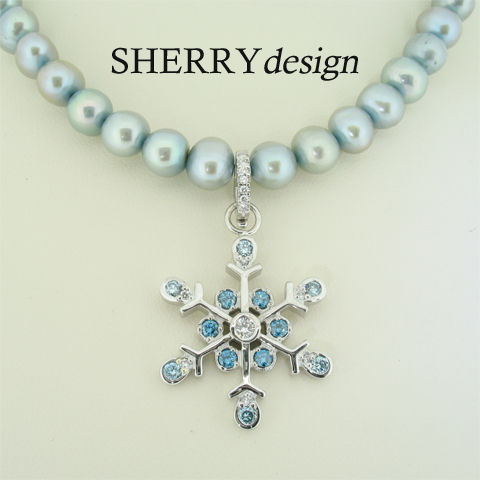 Snowflake pendant: We create each of our snowflake pendants slightly differently, so no two are the same. We can produce it in platinum, 9ct or 18ct gold and use diamonds of any colour. We can also use other gems to suit personal tastes. This one is on a hinged diamond bail, which allows it to be clipped onto a variety of necklaces.